So last night I had a brainstorming session to plan out what posts my blog should contain for this month of July. I was listening to Coldplay's The Scientist as I retrieved the blog journal, planner, and different colored pens from my bag, it was raining and it was cold. I sat down on my bed and began to think. I read what I have written previously on the pages of my journal and tried to decide what my first post on this month should be. I thought about it and failed to make a decision because it seems that the right side of my brain was all dried out. I needed something refreshing, something that could stimulate my brain to think of a post worthy of people's time reading it. I racked and racked my brain but it seems to be dazed. Was my mind in "blogger's block" mode? Or was I just lacking inspiration? I was well motivated but I couldn't shake out the feeling of being uninspired. What's next for The Random Bibliophile? What topics should I write about and feature next? I still cannot decide until now. So, instead of thinking too much I thought, why not post something about this dilemma I'm having? Question #1: What do I do when I am feeling uninspired? I desperately find one. Question #2: How do I do that? I go over to some sites to pick up ideas, sometimes I do little exercises to loosen up the tension and to clear my mind, other times I just sleep. Sometimes, you need to sleep on something before you make a solid decision about it just to be really sure if that's what you really want. So for this blog post, after a long introduction (again), I am going to share with you guys where I get inspiration when I'm lacking one. I usually go here to read other people's thoughts and words. Bloglovin' is a reader which updates using RSS Feeds. It is an easy way to follow blogs and get notified when they upload a new post. As long as you have an account here, you can follow ANY blog or website regardless on what platform they are on and even if the owner of that blog doesn't have a Bloglovin' account. I currently follow 145 blogs. I enjoy reading about travel, food, lifestyle and personal musings. I have mentioned my current fave blogs on my previous post and with Bloglovin', I am always updated with them. I scroll about the site and find some post I could do on my own site and so far, I've listed two topics. I am still working on how to make them my own so probably I won't be posting about them in the next weeks or so. Another social media site I go to when I need major inspiration is Pinterest. I love Pinterest and I just got to know it better two weeks ago when I read about how to utilize it (I forgot what blog it was). There are literally millions of pinnable inspiration in the site and all you have to do is take note of what topic you want to do about. Easy as pie, as they all say...but still hard when you're torn and in doubt. I read about StumbleUpon in a Facebook Group I joined in to promote my blog. I didn't know what it was until then. I tinkered with it for a while but I still found it not user-friendly BUT it shows you different posts on different sites on a specific topic you would like. I sometimes go to this site but not always. Still, this one is worth the try when you are that desperate for an inspiration like me. I joined a group on Facebook two weeks ago that helps out other bloggers to improve their websites and social media following. I was amazed that there are hundreds of group dedicated for this purpose! I was happy to be accepted in one and it really helped my blog and social media traffic grow. These groups help uninspired bloggers because you can interact and ask advice to fellow bloggers that are within the group. I like how interactive it gets and how they really help you out as much as they can. It's a community that boosts your confidence because they give you constructive criticisms. When all else fails, having a tangible reading material can give you a lot of help. Reading magazines have been a habit of mine since freshmen year in college. I have a lot of these materials because I was then a collector of Candy Mag - a local teen magazine that is until now, one of my favorites. It's nice to sometimes look away from our laptop and smartphone screens and just enjoy finding inspiration in books and magazines. I sometimes do stare at my pen and paper, too, hoping that an awesome idea will come up. So far, I'm still empty, hoho. I just have to sit this one out, or maybe sleep again, hehehe. Right? It gets frustrating at times especially when you're itching to write about something, but you don't know what that something is about. Am I being clear here? Haha, but oh well, I just tell myself that this,too, shall pass. Books are my favorite inspiration! Magazines too. There's something about holding a book in your hand that feels so inspiring! I know the feeling, Theresa. Books does have that kind of magic! These are really great tips. I love FB groups, just got involved in a few and the input from them is invaluable! Thanks for sharing. It's very hard to blog nowadays for me too so I get this a lot and it takes me quite awhile to come up with something >o< But watching kinda makes me want to write after I guess! Especially if I enjoyed what I've seen. Another is probably doing something crafty like, drawing or diys! Idk it's kind inspiring for some. But I'll be trying your tips, just hope I won't end up mindlessly clicking here and there instead, haha! Those are great ideas, too! I just don't have the luxury of time to do DIYs and crafty things lately because I'm working full time in the morning and I just insert my blogging now and then. Hence at night, I feel tired after a long day and I don't get to do that bunch of stuff, boohoo. But it's okay though, I love blogging so I will always find the time to think about what to post next. ^_^ I will, however, try to do those things when I'm on break! Yes! Thanks for the tips! I recently found BlogLovin and I love it! Makes it super simple to find things you want to read without going all over the place. Right? It's very convenient, I even love it's phone app! 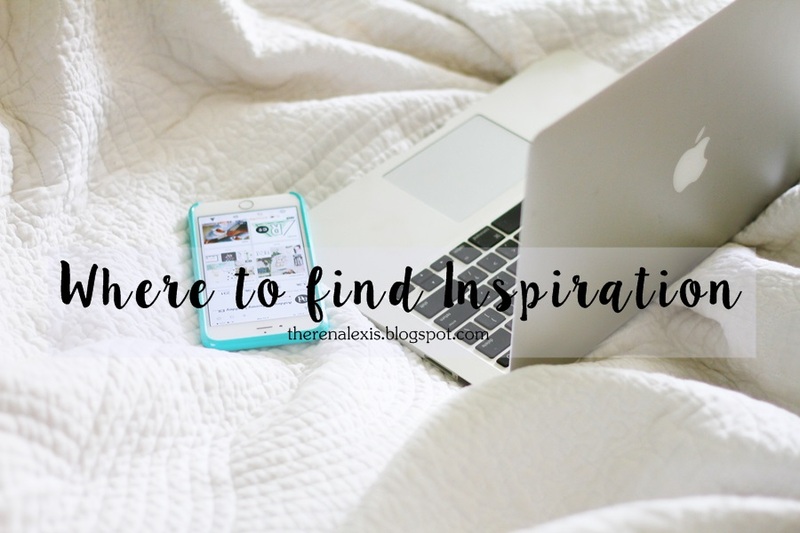 If uninspired, I usually blog hop, myself. Sometimes I see topics that I want to give my own twist to so I add that to my to-blog list - making sure I remember where I got the inspiration. If all else fails, I let the topics fall for me. I don't force myself because I'll feel worse if what I ended up blogging about looks forced and not me. Pinterest is my go to! It never fails, never though of going to bloglovin' when bloggers block makes it's rounds. I will have to try that! When I lose inspiration, I never exactly know what to do. I usually just don't end up writing. Maybe it's just the way that my blog is set up, but sometimes for me it is more helpful and more meaningful to just write when I'm inspired. I should probably start planning out my posts though, so thanks for the advice for when I start that! This is great! I mostly just go around to be in my garden to seek inspiration or just take a small break..those things always help me.. also I never really try to be much in social media because I always lose track and end up in those very lovely dog accounts! Haha, I always get lost when I'm browsing Twitter and Instagram so I know what you mean! :D Seeking the alternative like going outdoors and just living in the moment are also effective. Thanks for dropping by, Nicole! I usually find my inspiration from Pinterest. If for some reason I can't find inspiration, I go to Facebook group. I haven't thought of Blogovin... Thanks for the extra idea for inspiration!! I love watching Periscopes when I need inspiration. Especially if they've got a strong message, I always leave feeling SO inspired and uplifted and motivated to be a badass! Blogs and good online news sites are my faves. Just taking a walk outside can also be so refreshing for the inspiration to come flowing back!